Artists & Fleas, Sunday Dec 1st! I will be at Artists & Fleas this coming Sunday December 1st from 10 am to 6 pm. I'll be bringing just about everything except for tank tops. Artists & Fleas is an independent market for local NYC artists and designers, located in Williamsburg Brooklyn just off the Bedford L stop. It's a pretty cool spot because most likely you will get to meet the person that made what ever it is you are purchasing. Hope to see you there! If not, I will be at other markets, to be announced! 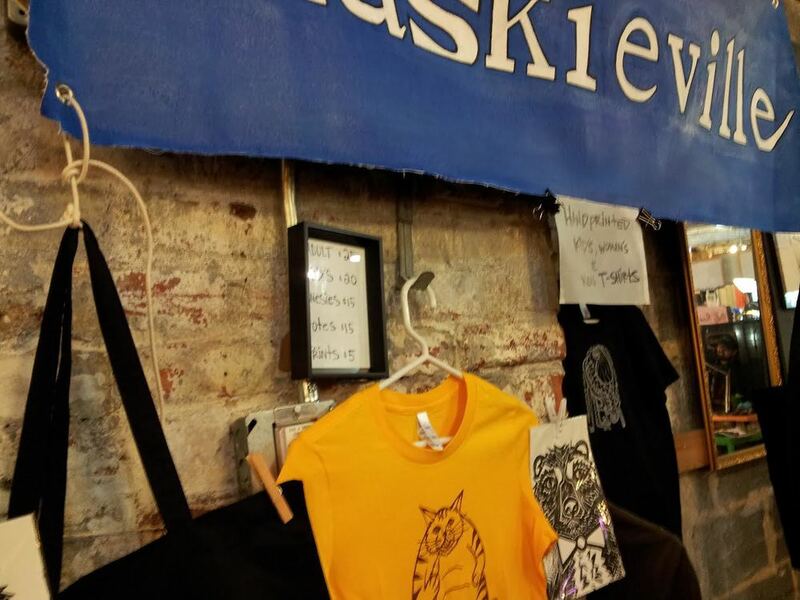 Haskieville hand designs, creates, and screen prints unique, funny, and clever t-shirts for adults and kids! We also offer tote bags, tanks, prints, and other fun stuff! Made in Brooklyn.